The European Community Culinary ABC has crossed the channel and reached England where our host for this trip is Alex from Food 4 Thought. Even if I wasn't married to an Englishman, I would still say that the English probably make the best, if not the most comforting desserts. 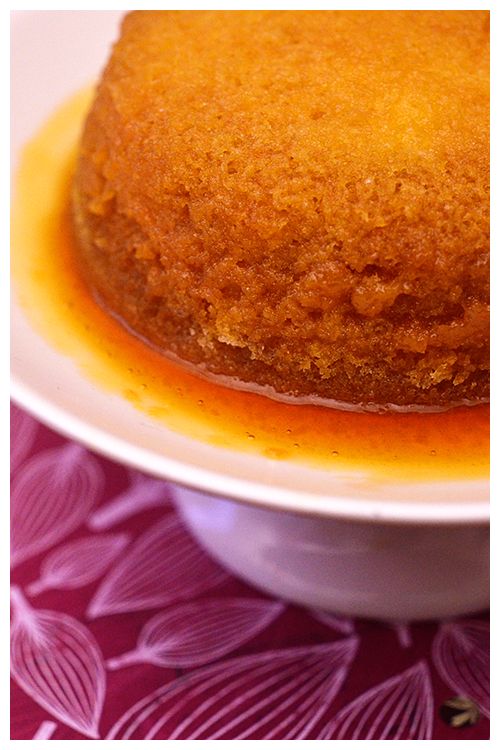 On quizzing Paalo of his favourite, Steamed Golden Syrup Pudding was his immediate response. Beat the butter and sugar until thick and creamy. Whisk in the zest followed by the egg, a little at a time until fully incorporated. Use a spatula to gently fold in the flour and then drizzle in enough milk to form a soft, spoonable batter. Butter a 2 cup pudding bowl and cut out a baking paper disc to fit on the bottom (this just makes it easier to remove the pudding) - pour in a couple of generous tablespoons of golden syrup. Carefully top the syrup with the batter - smoothing the surface with the back of a spoon. Cover with baking paper and secure with string or silicone ban. Place in a steamer and steam for about 30 minutes or until cooked through - it should feel light and spongy to the touch and the sides should come easily away from the bowl. Let it sit for a few minutes before turning out onto a serving dish. Serve while it's still warm, perhaps with a little clotted cream on the side.